3 How to Change GP Balance Transfer PIN CODE? GP Balance Transfer! The Bangladeshi Number one Telecommunication company Grameenphone brings a very helpful service name GP Balance Transfer, Share, Gift System. Many times, we need to Transfer Balance to other GP SIM. 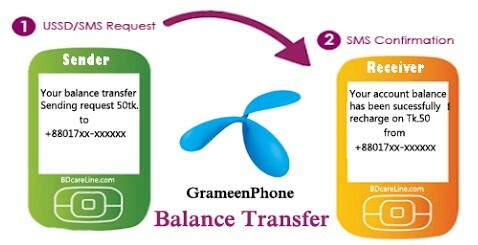 So, Grameenphone connection users are searching how to transfer Balance in GP SIM very easily. So, we update full article about the GP Balance Transfer, Share, Gift System or process. First, go to the message option, then type “REGI” and send an SMS 1000. After sending this SMS, Customer will get a confirmation SMS, where he/she get “PIN CODE” Number for balance transfer. Go to message Option and Write BTR<space>PIN<space>Mobile Number<space>Amount and send an SMS 1000. Example: BTR 7777 017XXXXXXXX 50 and Send 1000. Customers will receive a confirmation message mentioning that the amount has been transferred successfully. With this their current balance after the transfer will be also shown. Receiver of the balance will also get a message mentioning that he/she has received balance in his/her account and his/her current balance will be shown. How to Change GP Balance Transfer PIN CODE? 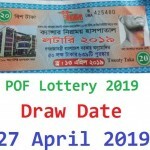 Many times we see, the Grameenphone customers are Forget GP Balance Transfer PIN Code or want to change Grameenphone Balance Transfer PIN CODE. It is very easy to change Grameenphone Balance Transfer PIN Code, Just follow the below. First, Go to the SMS Option then Type “CPIN<space>Old PIN<Space>New PIN<space>New PIN” and send an SMS 1000. Example: CPIN 1111 7777 7777 and Send 1000. From now On, New customers don’t have to follow the above rules, they will have a built in option for balance transfer in their new SIM. Existing customers will not get built in a facility in their SIM unless and until they change their SIM. Transfer Balance-> Give Receiver’s Mobile Number -> Confirm Mobile No -> Give Amount -> Confirm Amount -> Give PIN. Give Old PIN-> Give New PIN-> Confirm New PIN Register. Thanks for staying with us a long time and visiting GP Balance Transfer, Share, Gift System. If you have any confusion or question about the GP Balance Transfer, just comment here. We reply as soon as possible with a correct answer.